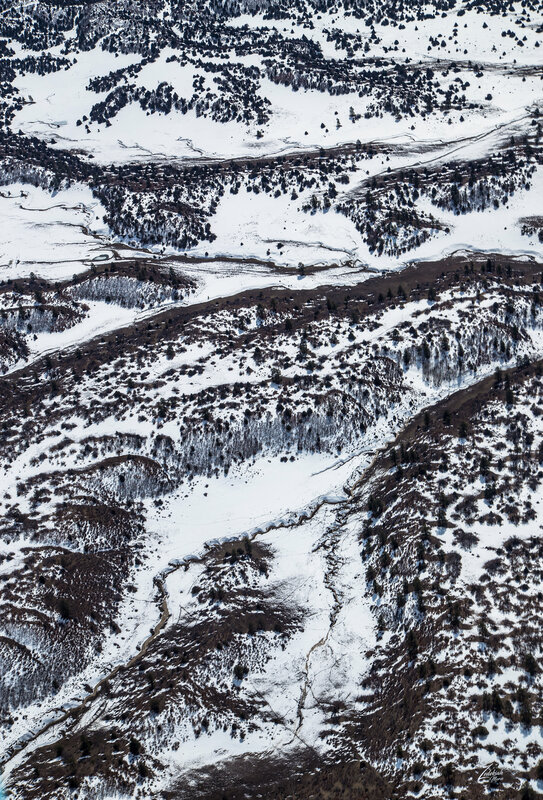 Montezuma Creek lies frozen in the small valley between Montezuma Mesa and Archuleta Mesa in the southwestern part of Colorado on the eastern edge of the First Nations Southern Ute Tribal Reservation. If you look closely around the creek you can see animal tracks in the snow made by the various wildlife that live in the area and search for food in these harsh winter conditions. Located in the lower end of the San Juan National Forest near Coyote Canyon this is a remote creek that is fed by melting snow and rainwater runoff from the mountains in the San Juan Range of the Colorado Rocky Mountains.